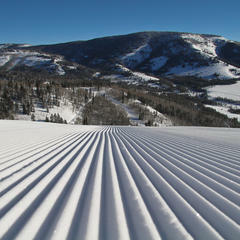 Groomed corduroy snow beckons skiers at Beaver Mountain for its 75th anniversary season. In an era that's seen increasing multi-resort-season-passes, Beaver Mountain chugs along as a multi-generational family-owned business. 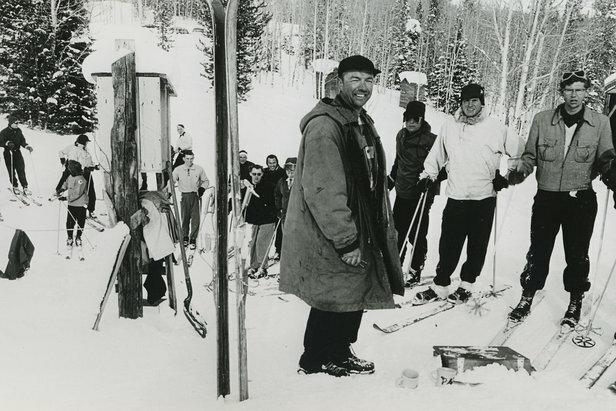 This winter, the ski area near Logan, Utah celebrates a milestone­—its 75th anniversary. Beaver Mountain is all in the Seeholzer family. Generations of them. The third generation now oversees most of the ski biz, while the second and fourth generations assist. This ski area tucked up along Utah’s northern border within spitting distance of Idaho plans to continue as a small family-run mountain. 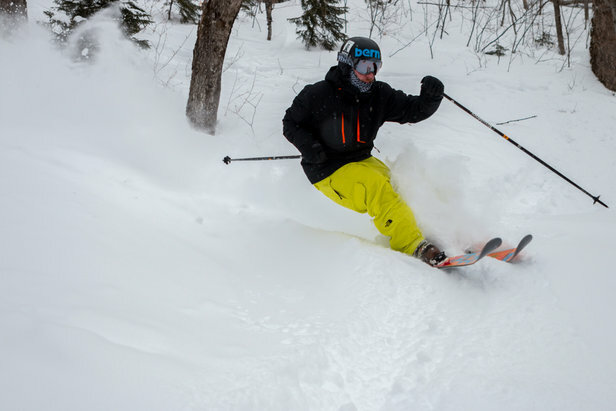 The ski area’s four lifts—three triples and one double—plus one beginner carpet serve 828 acres of eastern-exposure inbounds and 2,000 acres of out-of-bounds west slope descents. Harry’s Dream triple climbs 1,600 vertical feet to the summit. “It’s an 8- or 9-minute ride. That gives you time to rest,” adds Travis about the resort’s longest lift named for his grandfather. 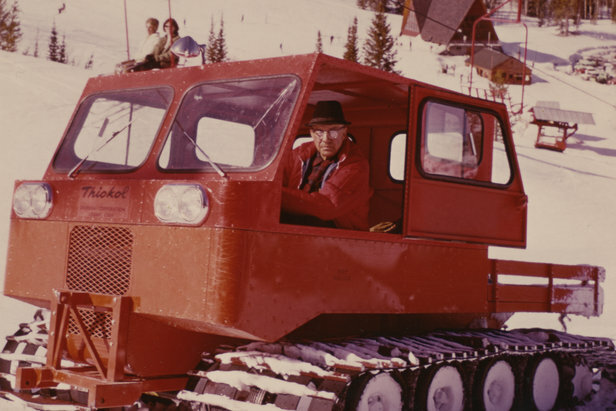 Harold Seeholzer drives the groomer machine at Beaver Mountain, which is still owned and operated by his family. Nine family members currently work winters at Beaver Mountain. Travis’s brother-in-law Jeff West serves as mountain manager, and one nephew oversees the terrain parks. Travis’s mother Marge still sells tickets, usually working 65-70 hours per week. “We had to cut her back last year to six days a week,” says Travis. “She’s very active and involved. She knows everyone.” As the second generation, Marge has watched families grow up skiing on the mountain. She knows the kids, parents, and grandparents. 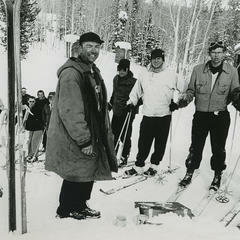 Travis’ grandfather, Harold Seeholzer launched the ski area in 1939 at a location he handpicked while doing snow surveys. Early lifts consisted of a 1,000-foot rope tow and a 2,700-foot T-bar that hauled skiers up a 35-degree face. The first person to show up to work in the morning grabbed the ski patrol vest for the day. The warming lodge, the only building for years, now serves as Marge’s ticket office. 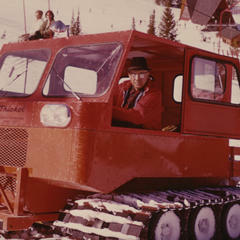 Harold Seeholzer operates the old T-bar in the early years at Beaver Mountain. Expansions over the decades added new terrain. In 1970, Marge and her husband Ted, the second generation of owners, pushed a chairlift to the summit of Beaver Mountain to fulfill the long-time dream of Travis’s grandfather. Later, the lift was upgraded to a triple. In 2003, under the leadership of the third generation, installing Marge’s Triple added new runs. Most recent improvements reconstructed the beginner area. 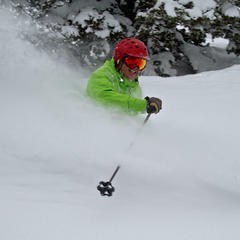 A skier sinks into powder at Beaver Mountain, which usually sees 400 inches of snowfall annually. Beaver Mountain now faces two major challenges. Despite sentimental attachments to the old ticket office where Marge would keep a pot of soup hot for Travis and his siblings when they were kids, plans are afoot to build a 12,000-square-foot day lodge to house rentals, retail, tickets and offices. “We are just bursting everywhere,” explains Travis. The mountain also lacks snowmaking. 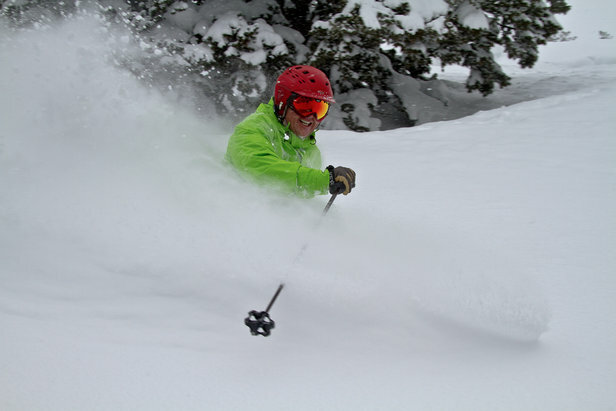 With an annual average snowfall of 400 inches, the resort usually sees abundant white. But drier years like this one raise the snowmaking issue. “We currently have no water for snowmaking. We’ve drilled, but none of the wells worked,” observes Travis. It’s a dilemma the family wants to address. 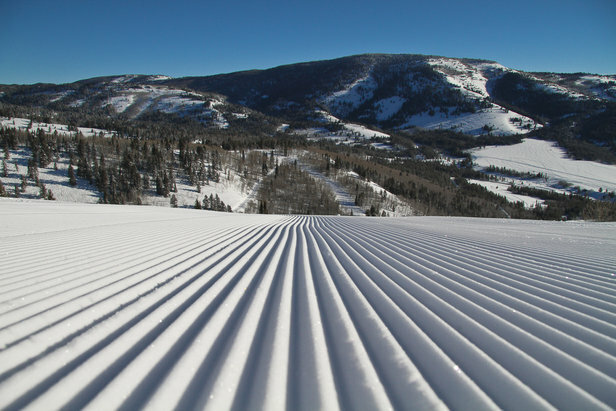 In the meantime, Beaver Mountain celebrates what they have—perhaps the longest family-owned ski area in the country. Good news fell by the foot across the U.S. for some of the best powder days all season so far.